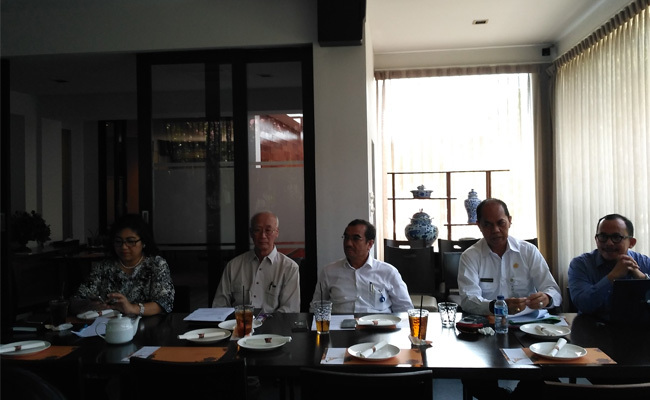 InfoSAWIT, JAKARTA – To increase crude palm oil (CPO) production by the intensification is intensively done as the answer that palm oil in Indonesia would not cultivate larger areas. One company running it nationally is Asian Agri. To increase the productivity is by using palm oil superior seeds. Corporate Affairs Director, Asian Agri, Fahdil Hasan, said, Asian Agri is one palm oil plantation company that is integrated from the upstream to the downstream sectors and keeps innovating to increase the productivity through the superior seeds. He also said, about 50% of the increasing productivity depend on the superior seed usage. “That is why, we have been researching to develop superior seeds and every thing is done in the Topaz Research Division,” he recently said in media gathering, Wednesday (4/4) in Jakarta. Topaz superior seed, he continued, is ready to support the government’s programs, namely about the replanting program, and to ensure the replanting program would use qualified palm oil seeds. “We know, the people’s areas were planted by uncertified seeds, and finally they get loss,” he said.